Marsha Smith who is the only person in the country of Belize who can make the special mud that is used in Jouvert, the large street party which is celebrated at 5am on the morning of the Carnival Festival each year in September. 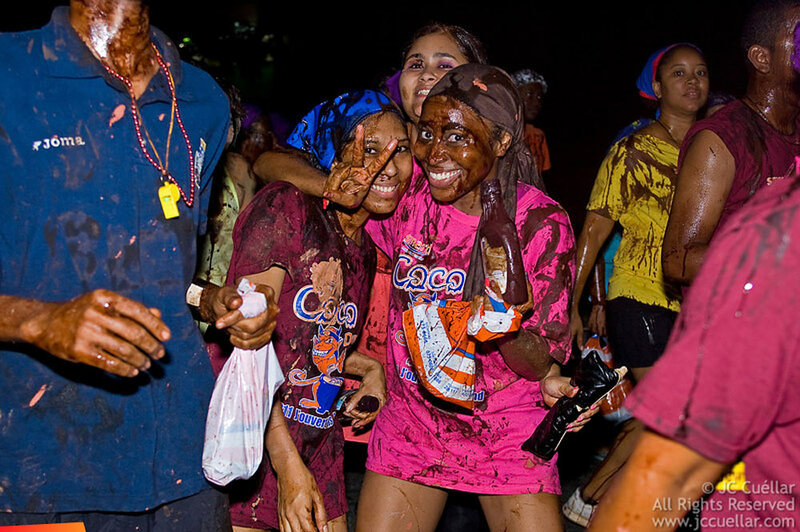 Jouvert in Belize is celebrated at 5am on the morning of the Carnival with massive crowds following a truck hauling gigantic speaker systems pumping out Carnival Rythms and whipping the people into a dancing fever while pasting each other with specially prepared mud by Ms. Marsha Smith. People from around the world travel to Belize to partake in Jouvert. Often not mentioned is the process of making the special mud used in the Belize Jouvert, the precursor to Belize Carnival. Ms. Marsha Smith is the only woman in Belize who knows how to specially prepare the mud and has closely gaurded her secret of making the smooth, silky and colorful mud that is used in Belize's Jouvert. Today I caught up with Ms. Marsha Smith who took us through the the process of making the special mud used in Jouvert, keeping in mind some steps were ommited to gaurd her secret. Ms. Marsha Smith's sterilized mud has been used in hotels and resorts spas for massages.